Customer success and the customer experience as a whole has come into focus over the last 5 years. 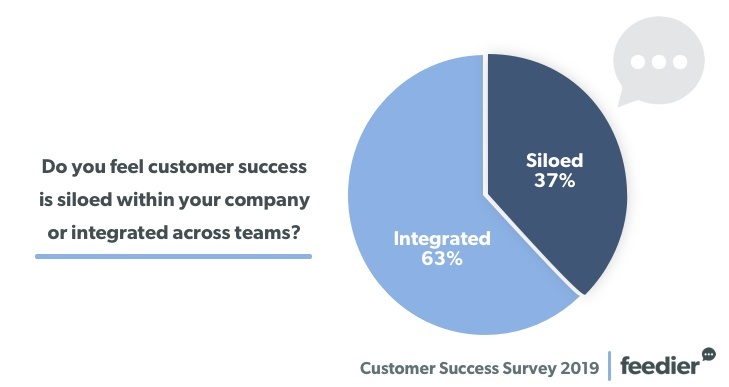 According to Totango, in 2018, 42% of customer success teams were around longer than 3 years. Compare that with 77% of teams less than 3 years in 2015. This is obviously good news for consumers who increasingly expect more out of companies they patronize. And trends continue to show more adoption of customer success teams and metrics across SaaS, professional services and other growth stage companies. We set out to peel a layer deeper and see, now that customer success has become part of our everyday vernacular: are companies just talking the talk, or are they walking the walk? 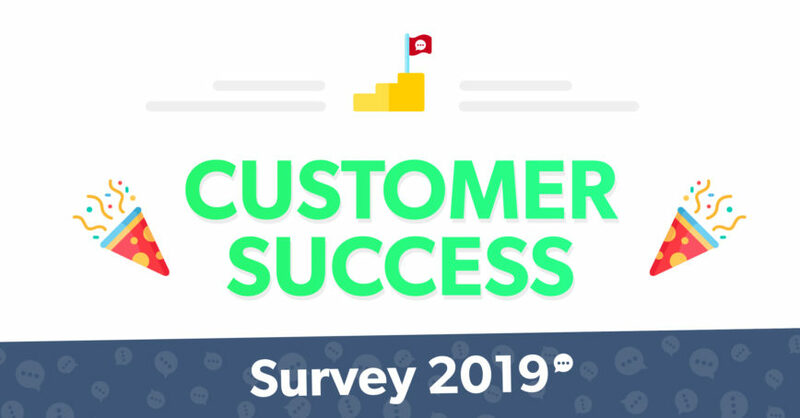 Download The PDF Version Of The 2019 Customer Success Survey for free. 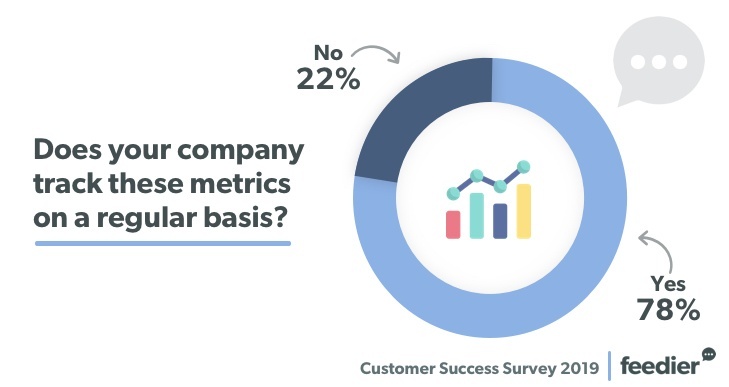 Our survey asked customer success professionals to provide insights on how far their company is going to integrate customer success, what they’re tracking, tools they are using and what they expect for 2019. Respondents came from across the globe. 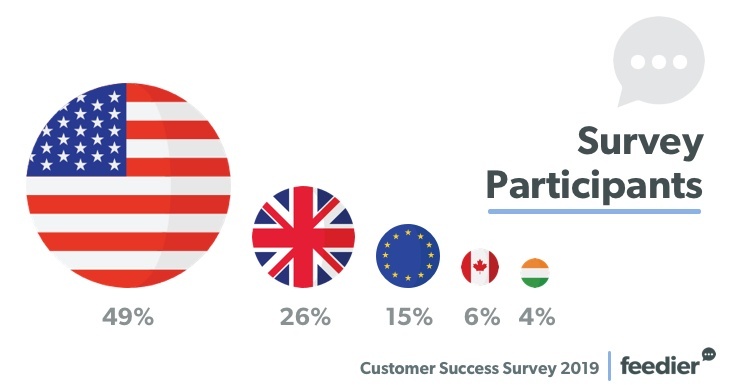 49% were located in the United States, with others living in the United Kingdom, Canada, Europe, and India. 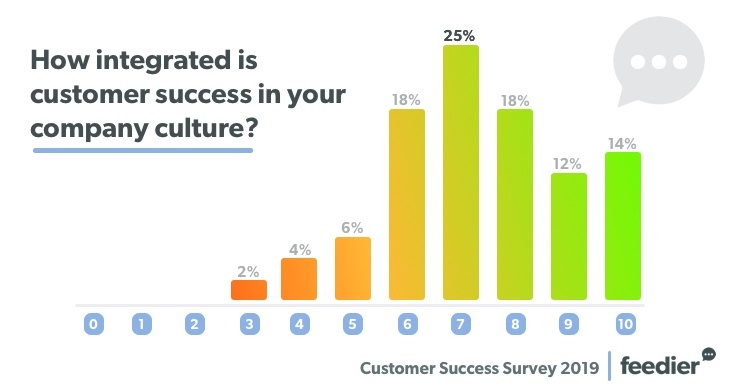 To begin, participants rated on a scale 1-10 how embedded customer success was in their company culture. Our results show that while trends are positive (69% scored their company at 7 or above), about a third of those surveyed still have a way to go to full company adoption. Scroll down to see more on what we learned. We asked what KPIs businesses are using to report on the health of their company. 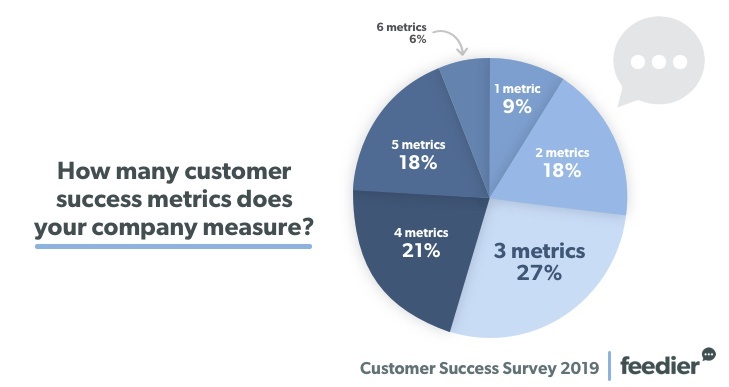 Over 73% responded to using more than 2 metrics. And tracking is built into processes, with 78% of respondents reporting they are measured on a regular basis. We surveyed how many tools respondents are using and the majority combine 2 or more to get a clear picture of customer sentiment and gain insights. As mentioned above, most professionals feel CS culture is baked in throughout their company. But, digging deeper, we learned that about 5% more those surveyed feel their team is siloed within the company. We also observed that about 43% of companies are not or unsure of that CS metrics are factored into their overall customer ROI. The size or maturity of the team may account for this seemingly high number. LinkedIn declared Customer Success Managers the 6th most promising job title in 2019, with 86% YoY growth over the last year. 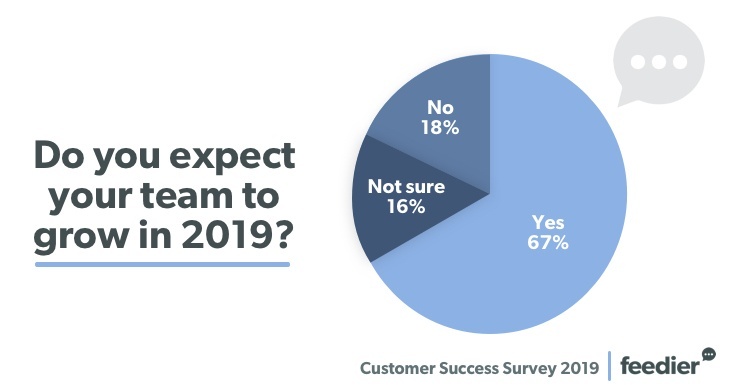 That number jives with our customer success survey responses on team growth: 67% of customer success professionals expect to have more coworkers this year. Feedier’s Customer Success Survey is a not a scientific poll. We received our data from direct contacts and industry groups. All respondents completed survey using Feedier software. 120 professionals completed the surveyed, 78% from SaaS companies, 15% from professional services, with the remainder making up other growth stage, marketing and customer success consultancies. How do these numbers stack up with your company? Leave a comment and let us know what you think customer success professionals can expect in 2019. Great roundup, thanks for putting that together guys! 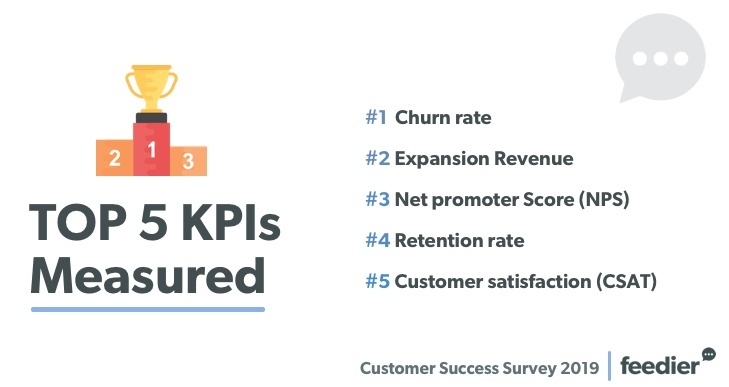 I’d double down on this, customer success is here to stay and grow!